Many of us are finding ourselves flummoxed with what’s going on in our politics. I’m finding that often trying to grasp and sort through it all just leaves us sputtering, and that’s when we are talking to each other. It’s even more challenging when we are alone. What I know is that bewilderment and confusion can turn into grief, fear and anxiety—and yet, despite that, we still need to function on a daily basis. I have felt this myself and now have a new found respect for what my grandparents and the whole country went through in WWII. 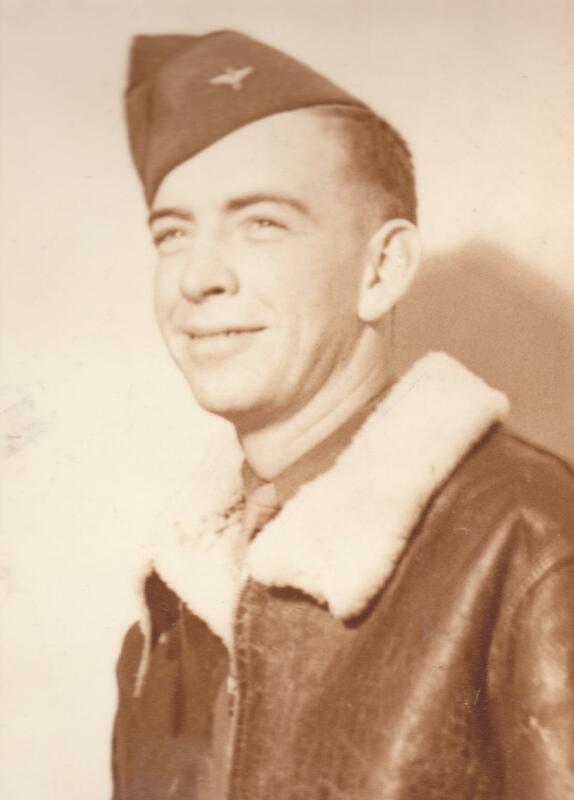 Here’s my dad as he looked when the B17 he was in was shot down near the Swiss border on December 7, 1944. On December 23rd my grandparents received a telegram saying he was MIA (and presumed dead). It wasn’t until mid February that they received a letter from a private citizen who had listened to a short wave radio broadcast with a message from my dad saying he was safe and in Stalag Luft 1 prison camp. By then they’d had a memorial service for him. When he finally made it home in late 1945, he got to read the condolence cards for his death. My family in the States, and my dad in the camp, had to manage each day as best they could, without knowing what was going to happen next. Trying to stuff emotion is not effective. We end up with it bubbling out and lingering. Dealing with negative thoughts and emotions is a process. Granted, what we are dealing with today is not the same situation—today we don’t have to wait for days to find out what is going on, we are not in the middle of a world war—but things are confusing and emotional. There is a better way than the “stiff upper lip“or stuffing. You recognize that, for whatever reason, right now is not a good time to process your feelings—you are in the middle of a grocery store, at a business meeting, etc. You then make a date with yourself to actually have your feelings—Saturday at noon, Tuesday at 2:30. WARNING: If for any reason you cannot have the date with yourself at the designated time, reschedule! Trust me, when we make a commitment of this nature with ourselves and then don’t follow through, there is hell to pay! This technique works. It allows you to function and process the emotion without having to compromise either one. In these fluctuating and unpredictable times it’s good to have ways to take care of ourselves. Please do take care! This entry was posted in emotions and tagged Stiff upper lip, stuck emotions, WWII on February 23, 2017 by Shell Tain.